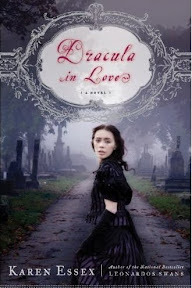 The Sunday Salon [11.7.10] – my books. my life. (d) Did I mention the extra hour? The only thing that could make this morning better would be if the temperature would get out of the 40s (it’s Florida – I can complain about 40s) and someone would bring me pancakes (*nudges husband*). As for books and blogging, I am once again a bit behind on reviews but they will be up someday. Remember, good things come to those who wait. And because my reading has far exceeded my original expectations I’ve now set a goal of reading 80 books by the end of the year (I’m currently at 69). You can start cheering me on now. Note: I decided to save The Scorch Trials for my trip to Boston in a few weeks because I have the ebook and I must travel very light. Woo! Sedaris in audio! You’re in for a treat. The dark evenings are a bit of a drag but I can make myself keep going then. I have a harder time getting ready for my day in the dark. I don’t like the weather either! (Although it is fun for a minute to wear some warm clothes)… I want to read the Betsy-Tacy books… which one should I start with? I started with the four younger books but you could definitely get away with starting at the beginning of the high school books (Heaven to Betsy is the first). The first four books are written for a much younger audience. I love Short History. 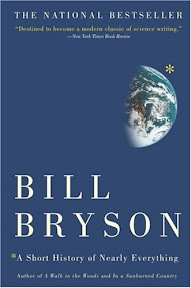 So much, in fact, that I eagerly sought out Bryson’s new book, At Home. It’s sitting right here, next to me. I think I’m going to put down this computer and take it out to the porch for a nice, lovely read before church. I just finished Zombies vs Unicorns. I found it very entertaining. I laughed out loud a few times. I love Sedaris so I hope you enjoy that too. Oh, I want to read the Sedaris book. I kind of love the part of the time change where we gain that hour. Whether we’re changing from or to DST, I hate the clock-changing part, because I have a ZILLION clocks…no, really! At least the computer and the TV receiver change automatically. But then I have to remember to change the landline phone and the cell phone. Looks like you had a great reading week. 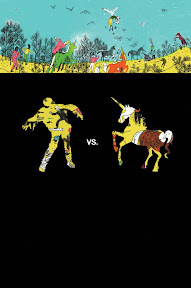 How are you liking Zombies vs. Unicorns? You can totally reach 80! 🙂 That’s awesome; congratulations! I hate when the time changes. Since I work mornings on weekends and evenings during the week, it screws me every time. Although I love the extra hour of sleep, the dark afternoons make me sad. 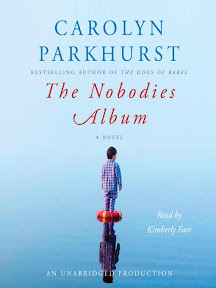 Pingback: The Sunday Salon [11.14.10] - my books. my life.